Want to know the “secret” to dieting? It’s not to diet, but instead change your way of looking at food. "Mary Lou's thoughts on dining in restaurants are spot on. You don't have to throw away all of your hard work and restraint just because you are going out to eat. One can easily look at a restaurant's menu online, and if you can't find something that will not totally throw your diet into a tailspin, I would suggest calling the restaurant and speak to the chef. Any chef worth his salt should be more than willing to accommodate any dietary needs you have. We do it for people with gluten sensitivity and allergies, so why not for those wanting to watch calories. Also, good restaurants always have light and healthy options available." 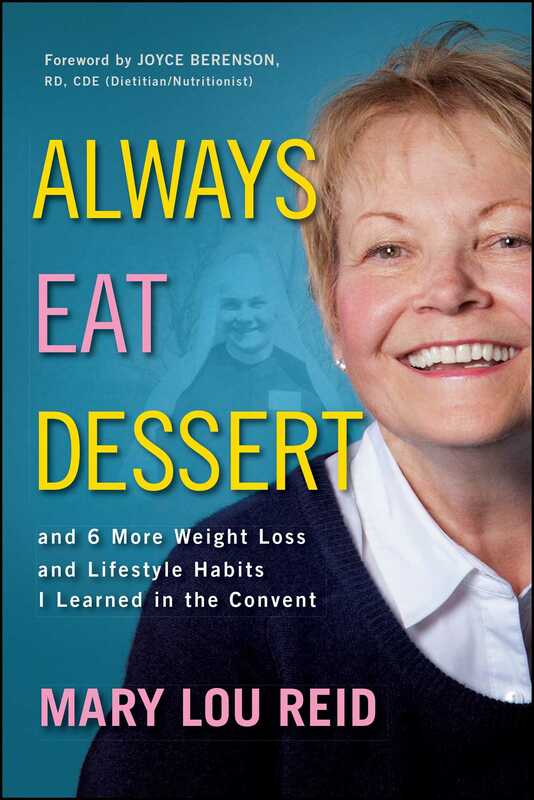 "The main thing here is that it is not a matter of just getting up and 'moving,' which is at least a start as Mary Lou mentions in her chapter 'It's ok to be a couch potato,' but it is focusing and actually exerting yourself. People who start to exercise on a regular basis, usually do not lose weight but change their body makeup. They start to look slimmer. One of the benefits of a regular exercise program is that over time your body will start to change its cravings for more healthy combinations of foods. An additional benefit of a regular exercise routine is that it gives you time to focus mentally on other things, which will help lower your stress levels. This is a connection Mary Lou makes throughout her book in several ways. Many of the people that trained with us lowered their need for diabetic medicine, blood pressure medicine, and stress medication. So go ahead and give it a shot; the only thing you have to lose is weight." "As a fashion stylist, I find this book easy to read and compelling. Mary Lou's knowledge of fashion and what works for losing weight, keeping it off, and look your best NOW are all helpful tools. As Mary Lou says, 'Wear the right clothes to look good now.' You will feel great on the inside because you look fabulous on the outside."